Vishal Pathak with Kshitij Gupta from the All India Disaster Mitigation Institute (AIDMI) consider how the post-2015 framework on disaster risk reduction can integrate learning from the field. The risks posed by disasters have been well known for a long time. However, recently this problem has been exacerbated by the interplay of various undesirable phenomena such as indiscriminate urbanisation, environmental degradation and climate change etc. Thus, to mitigate the increased disaster risk emerging out of these factors, the Hyogo Framework for Action (2005-2015) was devised to advance a strategic and systematic approach. The challenge now is to develop a post-2015 framework (HFA 2) which builds on the successes and failures of the last 10 years. Climate change is perhaps the biggest culprit for escalating the underlying risk factors. Consequently, the integration of Climate Change Adaption (CCA) with Disaster Risk Reduction (DRR) has lately gained prominence in national and international policy circles. In countries like India, where disasters are becoming less predictable and manageable due to erratic climatic conditions, it is imperative that the integration between CCA and DRR be taken up in earnest by both government and non government organizations. In our efforts to mitigate the underlying risk factors emanating from climate change, AIDMI has made considerable strides in promoting livelihoods that are not directly dependent on climate. 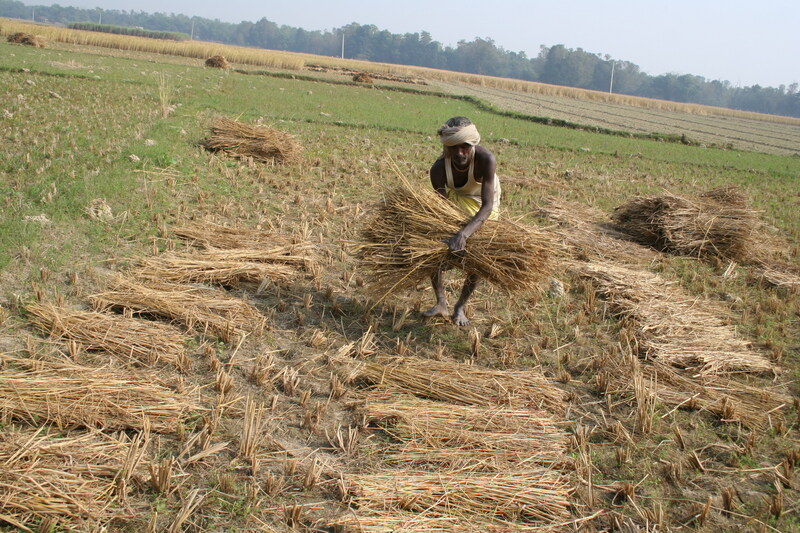 In India, the erratic nature of the monsoons coupled with the limitations on the availability of agrarian land fit for cultivation has had some very debilitating impacts on the welfare of poor and vulnerable people dependent on agriculture. All this points to the inescapable conclusion, that livelihood security can only be achieved by reducing dependency on climate sensitive sectors. Therefore non-farm based livelihoods and enterprises, small and micro-sized, need to nurtured and promoted. They build the resilience of a community to disasters by providing major sources of employment to people recovering from the effects of a disaster. Given the importance of these small and medium enterprises, AIDMI is working with UNDP (India) on a project called ‘Micro, Small and Medium Scale Enterprises and Disasters’. AIDMI strives to mainstream these enterprises which despite their unparalleled importance have been hitherto neglected from recovery projects. A recurrent theme that is emerging in the post-HFA consultations is that of risk transfer mechanisms for the poor and vulnerable communities. The mid- term HFA progress report (2010-2011) shows a dismal picture of the efforts taken by private and international financial institutions to increase the access of the poor and vulnerable to risk transfer measures like insurance. With climate change exacerbating the severity of disasters in the developing world, a tool like insurance is of the utmost importance. It helps low income families to recover from the loss of livelihoods in the aftermath of a disaster by offering a way out of the vicious circle of poverty. AIDMI has been active in promoting risk transfer mechanisms for the poor. It has been promoting ‘Afat Vimo’ its micro insurance for contingencies brought by disasters. This disaster micro insurance scheme empowers the marginalised communities to live with dignity and not be dependent on the charity of others. AIDMI’s campaign on a child’s right to a safer school directly addresses HFA’s priority of using knowledge, innovation and education to foster a culture of resilience. However, our experience in the field has revealed several lacunae. In order to redress this problem, AIDMI has strived for greater DRR integration in school curriculum. As the Global Centre for Excellence in South-South Citizenry –Based Development Sub-Academy, AIDMI is providing the practitioners in the field of DRR with guidelines to integrate the principles of DRR at all levels and streams of education. Implicit in the right to education, is the right to a safe education. This seemingly obvious fact seems to have escaped the notice of policy makers and AIDMI through its school safety initiatives tries to promote this ideal. Having acknowledged the importance climate change in disaster risk reduction initiatives , the next logical step calls for adopting an approach in the post-HFA framework where CCA is integrated vertically as well as horizontally with DRR. This implies that a holistic view of both should be taken up at an inter-sector level. AIDMI through the promotion of a Climate Smart Disaster Risk Reduction (CSDRM) approach seeks to achieve just that. Through this approach, DRR is viewed in conjunction with CCA for the achievement of development objectives. With CDKN support we are putting this into action together with our partners Intercooperation and IDS-UK in Orissa. Since climate change has come to be recognised as one of the most potent underlying risk factors, therefore suitable strategies and mechanisms ought to be devised in HFA 2 to integrate CCA with all DRR efforts. This necessitates a multi sector approach, where not only new areas need to be brought under the ambit of HFA 2 but new perspectives as well. Thus, pilots for green cities, and research in innovative integrated approaches in the sectors of health, water, education, energy, finance and natural resource management need to be taken up. We need to look beyond ‘business as usual’ approaches to test new and cutting-edge resilience-building measures.